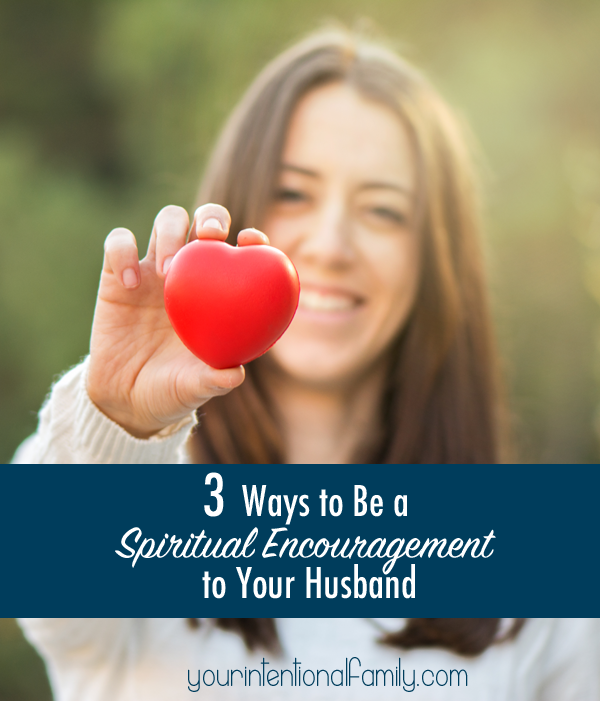 Are you a spiritual encouragement to your husband? I am an idea generator, research fanatic, and incessant tweaker of systems. I cannot tell you how much I have driven my family nuts with all my arranging and rearranging of our home as I seek to find just the right arrangement to fit our needs. But it did set my mind to thinking about how often I arrange things to fit my needs and not the needs of my family. Thinking specifically about my marriage, I wondered how my personality, with all of its strengths and weaknesses, affected my relationship with my husband – for better or for worse? As women, we are often more in tune with nurturing and caring for the souls and spiritual health of our families. It’s no secret in our current Christian culture that men sometimes struggle to lead their families spiritually and women tend to take the reigns and do it for them. 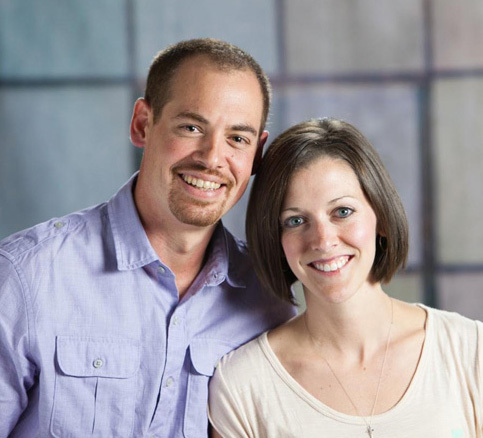 How can I get my husband to lead our family spiritually? 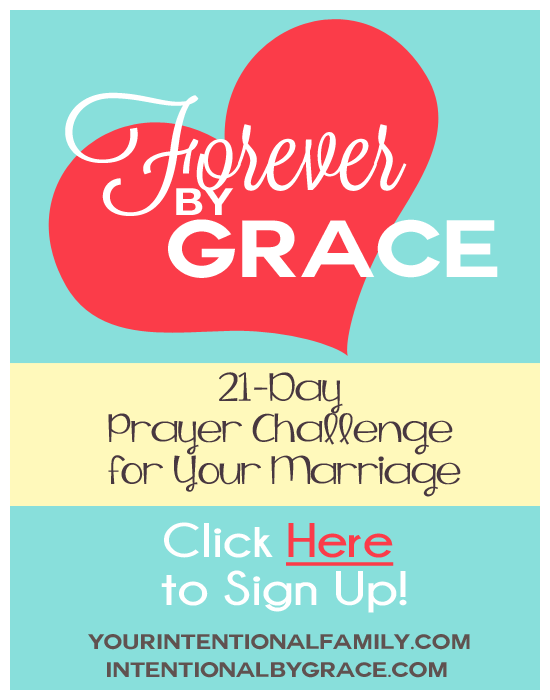 Why can’t I get my husband to pray with us? Why does it always have to be me getting us ready for church on Sunday mornings? Of course this is not true of all families, and thankfully it’s not true of my situation, but I admit, it hasn’t always been this way for us. There was a time when I had all the same questions. And I think the hardest part for me was knowing my husband was a Christian with a strong biblical conviction to lead and disciple his children, but he just didn’t seem to be making it a priority. The truth is that our husbands bear greater burdens than we may ever be aware of. They carry the weight of the world on their shoulders and they mostly keep it to themselves. For the most part, they want to live well and love their families for His glory. They really do. Sometimes they don’t know how and sometimes we, as women, have some ideas that can help, but instead of working together with our husbands, patiently forbearing as they warm to the ideas we bring to them, and allowing the Lord to work out His will for our husbands in His time, we take matters into our own hands. Too often my motives in bringing ideas to my husband haven’t been pure. I’m tenacious and meticulous in playing my cards right, and although quite skillful in business negotiations, it errs on the side of sin in my marriage. Manipulation and promotion of my own agenda are temptations that I have to constantly be on guard against. As wife to my husband, I have a unique ability and position to speak into his life. I know that my husband trusts me and puts great weight on what I bring to him (and he with me, for that matter!). This puts the fear of God in me because I know my temptation is to do the will of Leigh Ann and not the will of God. But like the great Helper, I must not speak on my own authority, doing my own will. I must seek to bring glory to God through the way I speak and bring ideas to my husband. 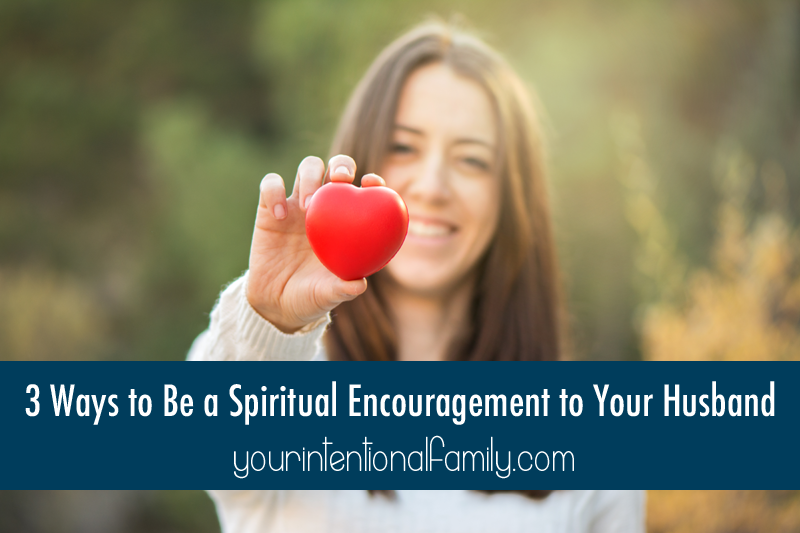 If perhaps you too tend to be the idea generator in your home, but you really want your husband to come on board with you and even begin to engage with his own ideas and plans for your family, may I give you three suggestions that I have found helpful? Even with all of my research, prayer, and thoughtfulness, I am not above deception. Just as my husband needs me, I need him. I need (and dare I say? want!) his protection, wisdom, and guidance. I am thankful for the times he has pulled me out of the fire when I didn’t even know I was on the brink of destruction. Wives, God is gracious to give us husbands. Just like Eve, we are easily deceived, and our husbands can be a line of defense against the schemes of the Devil. But too often, we overlook the protection of God because we’re impatient and desirous of our own way. When bringing ideas to your husband, humility, gentleness, and kindness should infiltrate your heart. If your husband feels threatened, disrespected, or judged, then your idea or thought will be rejected quickly – no matter how good or holy the idea or suggestion is. This posture isn’t manipulation. It’s about a holy fear and commitment to helping our husbands draw near to God, walk with Him, and worship Him. It’s not about whose role is whose. It’s about the glory of God and our respect and love for the man we share our lives with. Nagging, pouting, silence, withholding affection, yelling, or you fill in the blank with your preferred method of manipulation, is not God’s way. It will not work, but a respectful and pure conduct, which includes gentleness and humility among others, will help bring about God’s plan for your family. Wives, we must take God at His Word. If your husband rejects your idea or correction, don’t grow angry and bitter. Trust God. Pray for your husband’s heart. Let your idea or concern rest for a bit if you need to. God knows the condition of your family. Continue in prayer for God’s intervention while you continue to love and engage your husband and children. Waiting on the Lord can be hard. 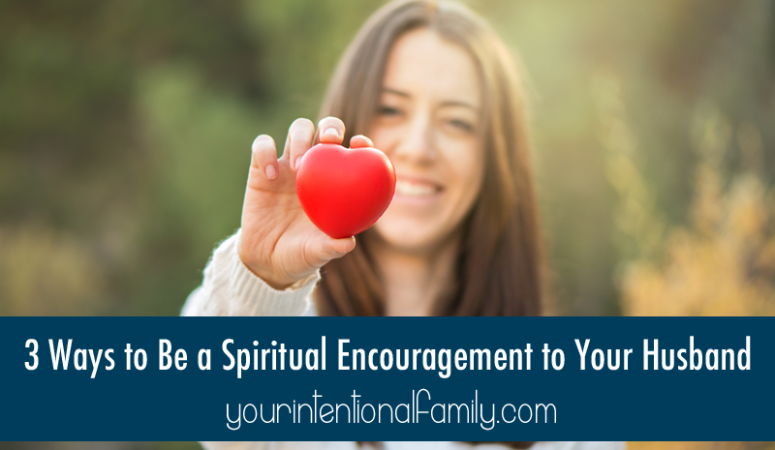 Waiting for my husband to get on board with family devotions was a test of my faith. Like my husband mentioned yesterday, he didn’t jump on board enthusiastically right away. He countered my thoughts with a hundred reasons why family devotions with a toddler would not work. However, I kept taking my burdens to the Lord. I continued to trust in God and waited patiently (and sometimes impatiently) for His timing. It took nearly three months (if memory serves) for the idea to even be implemented. Eventually my husband hopped on board, but I was the one who would have to remind the family it was time for devotions each day. It would be another six months before ownership and excitement from my husband would come. Now, he leads family devotions and rarely a day goes by that we don’t read from God’s Word before we begin our day. It’s me who forgets and neglects them most days now. Thankfully it’s not up to me alone to make sure they happen anymore! As wives, we must be on guard against manipulation and instead learn to be a true spiritual encouragement to our husbands. Just like we are a gift to them, our husbands are a true gift to us too. 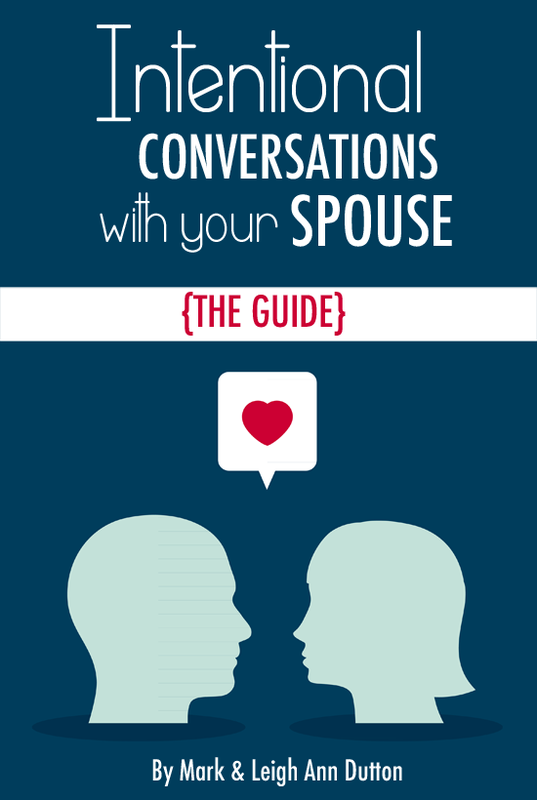 What does your relationship with your husband tell you about your relationship with God? Think about the last time you brought an idea to your husband. How did it go? Consider journaling your thoughts and ask God for His wisdom to walk more compassionately and humbly with your husband. great and helpful post, thankyou!